Success is an easy thing to measure at the Olympics. If you came home with a medal around your neck, it was a successful journey. If you came home with the right color medal around your neck, then all of the hard work and sacrifice was worth it even more. For someone like Rick Nash, earning the second gold medal of his career makes the additional wear and tear worth it. For guys like Henrik Lundqvist and Carl Hagelin, the silver is still a nice souvenir, even if they fell one win short of the ultimate goal. But if you’re an NHL team, there’s only one way to be successful at the Olympics, and that’s by having the participants from your roster return in one piece. Nash, Lundqvist, and Hagelin all have something cool to bring in for the Rangers locker room version of “Show and Tell.” But one guy who won’t be in the room for a couple of weeks is one of their top performers, Mats Zuccarello. As the Rangers embark upon the last stretch of the regular season, Zuccarello leads the team with 43 points (15 goals / 28 assists), holding a one point edge over Brad Richards (15 goals / 27 assists). You don’t often see a team’s leading scorer come from the third line, but the chemistry between Zuccs, Derick Brassard, and Benoit Pouliot have given the Rangers offensive punch beyond their top six forwards. 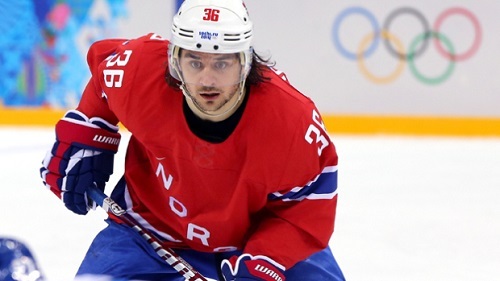 The Blueshirts will have to move forward without the Norwegian Olympian, who suffered a non-displaced left hand fracture while blocking a shot in a 3-1 loss to Austria. The injury requires three to four weeks to heal. One minor positive is that one of those weeks has already passed, since the injury happened early enough in the Sochi tournament. He’ll miss approximately ten games during the remaining recovery time. The options to replace Zuccarello would be calling up JT Miller from Hartford, or moving Brian Boyle up to the third line with Derek Dorsett taking his spot on the fourth line (more on that later). No team is ever going to be in good shape without their top point producer. But if the play of the top two lines can pick up where they left off prior to the sixteen day break, the Rangers can weather the storm. This injury won’t have as deep an impact as some of the other Olympic injuries. The Detroit Red Wings will be without Henrik Zetterberg due to back issues for the remainder of the regular season (and the Wings aren’t a lock for the playoffs, like in past years), and the New York Islanders will be without their top player, John Tavares (left meniscus and MCL tears), until next season. 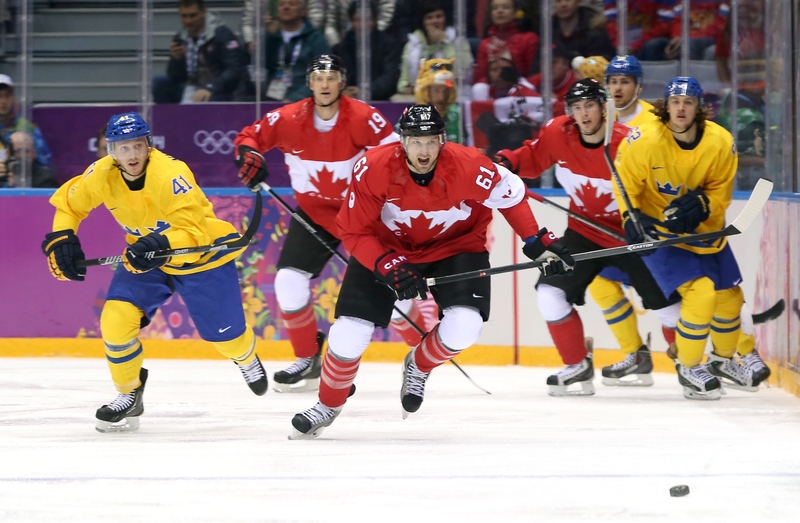 The debate of pros participating in the Olympics is for another time, but these are some prime examples of why the NHL isn’t a big fan of sending their guys to represent their respective nations. 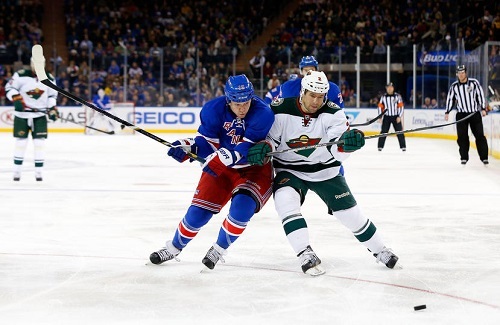 The Rangers regular season resumes at Madison Square Garden Thursday night against Chicago. They currently have 23 games remaining (32-24-3 – 67 points) before the playoffs begin. Nine of those games are against the West (three at home, six on the road), seven are in the division (three at home, four on the road), and seven others are within the conference (five at home, two on the road). The Blueshirts enjoyed changing calendars, considering they were 20-20-2 in 2013, and are 12-4-1 in 2014. Making a run at the Metropolitan Division title doesn’t seem likely the way Pittsburgh has rolled along this year, but the Rangers will need to continue their 2014 ways if they want to maintain home ice in the first round of the playoffs come April. Dorsett On His Way – Rangers winger Derek Dorsett could be cleared to return as early as the Rangers first post-Olympic game against the Blackhawks this week. He broke his leg blocking a shot against Pittsburgh on January 3rd. Initially, there wasn’t a spot for Dorsett with Dan Carcillo filling out the fourth line nicely. But, as mentioned earlier, with the Zuccarello injury, we could see Dorsett replace Boyle on the fourth line.